The copy and paste sentence always appears every Security Council (SC) statement on Somalia. However, it is very much detached from the reality. The Somali Republic descended into chaos in 1991. The bloody collapse of Siad Barre regime changed the Somali Republic forever. Not only a central government was toppled, but also the fate of what was once a united country took totally another course. It is a fact whose denial is no longer viable. Somali Republic (as the proper name of the country was named by its constitution) was a result of a voluntary union between Somaliland, a British Protectorate, and Somalia, an Italian colony. The country that had a seat in the UN was the one created by the union of two. Today, Somaliland is not part of the Mogadishu based administration. 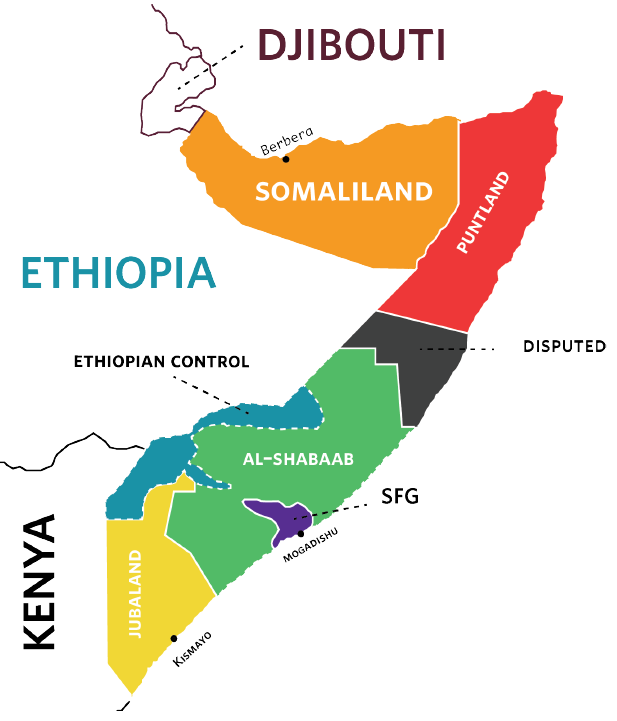 In 18th May 1991, the people of Somaliland who united with Somalia in 1960 decided again to dissolve such union and reinstate their independence, a move that has proven to be successful. The fragile administration in Mogadishu lead by Mohamed Abdilahi Farmaajo, a president elected by a parliament selected by a handful of clan leaders, does not have the mandate to claim a sovereignty over Somaliland. He does not have a physical authority and control over Somaliland. None of his people in government can put a foot on the soil of Somaliland. He is not elected or given a mandate by the people of Somaliland. In fact, the Somalilanders do elect their leaders in a democratic process. Of course, the process is not flawless, rather it has weaknesses. Nevertheless, Somaliland held elections in 2002, 2003, 2005, 2012, and 2017. The puzzling question is what kind of unity does exist which the SC is reaffirming? If the UN Security Council is listening to a government that does not have a legitimacy and mandate, then it is encouraging, at least indirectly, violence in the region, the Horn of Africa. No one is suggesting the SC has such intentions. However, it could be an outcome of misinformation given by the fragile administration in Mogadishu, and world’s obsession to restore peace in Somalia. Peace cannot be made by ignoring the reality on the ground and alienating the people of Somaliland. Whether one accepts or not, Somaliland is a reality on the ground. A reality that cannot be ignored even by the powerful Security Council.